Take a look at Arsenal’s remaining league fixtures and what do you find? Away to Everton, away to Watford, home to Palace, away to Wolverhampton, away to Leicester, home to Brighton, away to Burnley. Ahead of the chasing pack, and with a game in hand over Manchester United. Plus the best goal difference of the second group. But there is one little problem – and it relates to the issue we’ve been touching on all this season, and last season, and for a bit of the season before. It is the disparity between the home and away form of Arsenal. You see, our away form is nowhere near as good as our home form, but five of those seven remaining Arsenal games are away from home. Now the cause for this is not too hard to find, for the statistics show that we have played 14 away games so far this season – the lowest of any club except Cardiff who have also played 14. Tottenham on the other hand have only played 14 home games – no one is lower. The point is that if Tottenham are away then Arsenal have to be at home, and Tottenham, with the permission of the league, have switched several games that were originally intended to be at home, to be away games. The idea of this throughout has been for Tottenham to delay home games until their ground was due to be ready – you might remember that it was scheduled for opening back near the start of this season, but then for some reason that was of course no one’s fault, it got put back and back and back. That was all ok if it only affected Tottenham, but as I say, it also affected Arsenal, and it leaves us with lots of away games to face in this final run in. And the fact is that we are not so good away. We have won five, drawn four and lost five, meaning we get an average of 1.36 points per away game. This compares with 44 points from 17 games at home, meaning at home we get 2.59 points per home game on average. So we have two home games to play, which if we played to our averages would give us 5.18 points – which we will call five points. We have five away games to play which at 1.36 points per game will give us 6.8 points – which we will call seven points. That grants us 12 more points from our remaining league games, takking us up to 75 points at the end of the season. Tottenham are on 61 points – our closest challengers, so how will they do if we use the same home and away method to predict the results? Tottenham have two away games to play. They get 1.94 points per game away and so will get 3.88 points – which we can call four points from the away games. At home Tottenham have five games to play at home and so far they have got exactly two points per game. So that is ten points at home, plus four away, which means 14 points from the remaining matches, against Arsenal’s 12. Arsenal will thus be on 75 points and Tottenham also on 75 points. With the clubs just two goals different in the GD table, there is no telling which will be the higher. As for what Chelsea and Manchester United will do – I am going to leave that. If you are a regular reader you’ll know I have just travelled back from Australia – arriving at Heathrow at 5.30am today after around 24 hours travel. So although I hope there isn’t, there might be a mistake in this maths. Certainly my brain is saying, “no more”. I think it is safest for everyone if I leave calculating the Chelsea and Manchester United outcomes on the home and away basis until I wake up a little, tomorrow. Then I’ll try and put everything into a neat table. Welcome Mr Tony, I know you had a wonderful time out in Australia. I really hope we notch in more points away in this season closing games. A couple of away wins starting with 1:3 against Everton on Sunday afternoon. Welcome sir. As well as the skewed result against spurs. We should have been 5 points ahead of them before last night, not two. It would be just as easy to argue that Arsenal have, or could have, gained an advantage as a consequence of the requirement to play more home games, and fewer away games, earlier in the season. It has, or should have, allowed Arsenal to build a significant early points advantage over Spurs and other rivals for the top four. That they didn’t isn’t attributable to the fixture schedule. And, by the way, the aforementioned fixture schedule was settled before the season started. 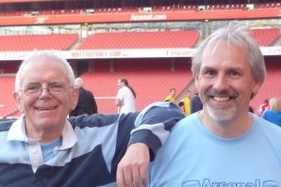 No further switches from home to away (or vice versa for Arsenal) were made after the safety systems failure enforced a six month delay to the opening of the new stadium. Nor was allowing Spurs to start the season with a preponderance of away games anything new. Liverpool were afforded the same understanding a season or two ago, when they opened their new stand. It’s an understanding that would be afforded any PL club in such circumstances. I don’t think nor believe Arsenal will finish this season’s campaign in the PL on 75 points. But my belief for them is they will finally finished the season on 81 points. For, the Gunners are looking more than already set to win all their remaining 7 matches in the PL to garner 21 points to bring Arsenal League Campaign this season in the PL to a close on 81 points far above the 75 points Tottenham Hotspur are being expected to get. This is because St. Tottenringham’s Day has actively returned to stage working actively for Arsenal in the PL this season’s campaign after it haven’t gone on a long break to rest for 2 consecutive seasons. Let me say this loud and clear to all sundry of the Gooners and none Gooners alike without any ambiguity to hear it and also see. Arsenal will finish above Tottenham Hotspur in the PL table this season. If recent history repeats itself on what happens to clubs that build or shift to new stadia ( Arsenal excepted , of course! ), then , we should be once again be celebrating St.Totteringham’s Day soon enough ! That,and the Spuds propensity to shoot themselves regularly in the foot , by implosion and self inflicted malady !